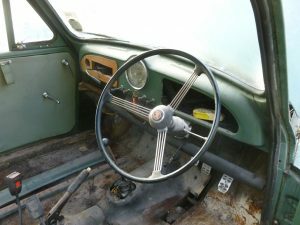 MORRIS MINOR 1000 STEERING WHEEL. We are breaking this 1964 Morris Minor 1000 in Almond Green. Many parts available. Gearbox £175.00, Rear axle casing £100, Steering rack £42.50, Radiator £35.00, Banjo type steering wheel in reasonable condition £35.00 (Pictured), etc etc. Please telephone us for further details.